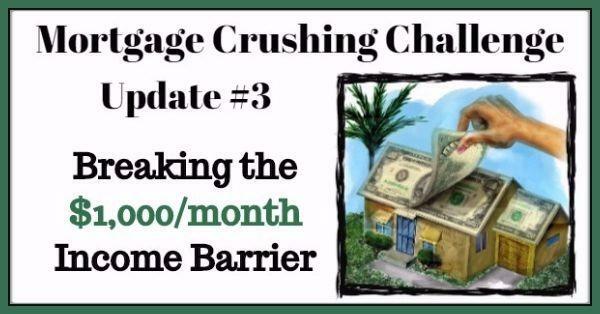 Welcome to my latest update for the 2017 Mortgage Crushing Challenge! In this update, I’ll be covering everything that happened throughout February, March and April pertaining to this particular niche website. Much progress was made. A test (of sorts) was completed which further validated my niche. My optimism and excitement remain, as I’m still expecting massive success with this website. As mentioned above – I feel like I’ve accomplished kind of a lot for this site. There is plenty of work left to do – but, man… February, March and April flew right by. Here is my progress report laid out by month. Much of February was spent on site layout and design and getting my content plan in place. I knew from the very beginning that I would be using the Ultimate Azon WordPress Theme for this site. My main monetization method is Amazon Associates and this particular theme has incredible built-in functionality that caters specifically to this type of product review and comparison website. The features I like specifically include: the comparison table with custom options, the product sliders and the unique drag-and-drop comparison tool. My VA happens to have a gift and a knack for graphic design – so I had him create a header for the website. I chose a full-width layout (no sidebar) for this site. This seems more modern and also allows additional room to include more options in the comparison table without everything getting all scrunched together. Note: The Ultimate Azon Theme did not have a built-in option (at the time) to remove the sidebar – so I had to add some custom code to do that. I also new from the very beginning that I wanted this website to be secure (https). Adding SSL certificates creates benefits like: added security, better SEO, more buyer confidence and others. Doing so was extremely easy and has no added cost within my good hosting account at WP Engine. This was a no-brainer, as more and more sites these days are moving to secure servers and even Google is admitting that website security will have an affect on search rankings. Next – I created a content plan for the site. I took my massive list of keywords and put them in a new spreadsheet which my VA’s and my writer have access to. I then formulated a content plan with those awesome keywords and sent instructions to my writer to get started on the product reviews. Luckily (for me), I’ve been working with this same writer for several years now and we’ve refined our processes for different article types over the years. She does an insanely great job on product reviews and informational articles per my instructions. Want to Learn My Unique Keyword Research Process? By the end of February, I had my first few product reviews published! And by “I” – I mean my writer did all of the research and writing and my VA’s did all of the editing and publishing. I just paid them! 🙂 And that is exactly how I like to produce and publish content for my niche sites these days. Full steam ahead into March and most of the main content for the site is completed and published by the middle of the month. I’m keeping it simple for this particular product review site and I’m only including 10 main products. So, that’s 10 review posts that were published. I then had a massive home-page article written – cashing in at over 4,000 words. I also published a really nice and helpful ‘buyers guide’ page. My VA created a couple of really nice infographics to include on both of those pages. In addition to those two main content pages – we also published 9 more articles that are both keyword-focused and also extremely helpful for readers (potential buyers). So, by mid-March – most of the main content for the site is published and in place. I still plan to keep publishing more bloggy-type posts at a rate of maybe one or two per month – just to keep fresh content being continually published on the site. I really didn’t do very much with the site in April. You could say that most of April was a wasted month. I tweaked a few things with the layout and fixed some bugs on the site. I monitored, edited and maintained a few of my lackluster (automated) link building efforts. I also checked and monitored my backlink profiles and my Google search rankings for some of the keywords that I’m targeting. Considering that I haven’t really put a focused effort on link building yet – I’m quite happy and impressed with the results I’m seeing so far! Here is a screenshot of my rankings (for some of my main keywords) as of May 7th, 2017. Not bad! Four months into a brand new website on a brand new domain – and I’ve already got 9 of my target keywords ranking in the top 100 in Google! This is a great sign and a good start. I think it’s safe to say that this site is definitely not in any kind of Google sandbox. After publishing most of the main content – I just had to see how this site would convert. I didn’t want to wait around for organic Google search rankings. So I decided to run some Google Adwords advertising targeting some of the main keywords that my site is built around. In all honesty – I was actually hoping that my earnings would outpace my ad spending. But as it turns out – CPC values are a little bit high in this niche due to the higher priced products my site is targeting. I ended up spending WAY more than I earned. But I got some really valuable data as a result of this test. My first ever full month of sending paid traffic with Adwords to one of my sites. I spent $496.55 during the entire month of March. My ad impressions showed up in Google search results 65,410 times (usually near the top of the page!). 723 people clicked on my ads during that month for a click-through-rate (CTR) of 1.11% making my average cost-per-click (CPC) $0.69. Okay. Let’s see how the actual traffic on my site compares to these numbers. Interesting! 735 total visitors (Users) for the month compared to the 723 paid visitors I sent over through advertising. This means there were only 12 organic visitors to this site during the entire month of March. You can see in the image above, I was sending a little bit of traffic at the very beginning of the month. This is because I got really anxious and couldn’t wait until the content was finished – so I experimented with sending some traffic to the specific review posts that were already published even though the home page article wasn’t even published yet! That was kind of dumb (my middle name) and I realized it right away and paused my ads until I got the content completely finished. March 16th – the content is completely published and I turn the ads back on and create some new ads to send traffic to various pages on the site targeting lots of different keywords. Hint: I used Long Tail Pro to find very specific (long tail) keywords to target in my Adwords campaign. Most people only think of Long Tail Pro as a keyword research tool to use for SEO. But as it turns out – it is fantastic for finding keywords to target in an ad campaign! Of my 735 unique visitors, 22.4% of them returned to my site at some point giving me 938 total visits for the month. At an average of 2.06 pages per visit – I had a total of 1,929 page views. Amazon Associates is the ONLY monetization method I have on this site currently – so this screenshot of my Amazon earnings represents ALL earnings for the month of March. This screenshot does NOT include earnings for any of my other sites. During the month of March, my website sent 294 clicks over to Amazon. That’s right on target, considering I had only 735 unique visitors. That means that exactly 40% of my visitors clicked over to Amazon. 12 of those 294 Amazon visitors ordered something for an okay 4.08% conversion rate. Total earnings of $126.83 resulted from just one of the products that I promote being purchased and 11 random items that I don’t promote on that site. This is the validation I was looking for! An RPM of $65.75 is fantastic! Compare that to the measly $3.05 RPM I got from my entire Adsense account for that exact same time period. Another comparison – my overall RPM for another one of my large sites is only $12.36. I did not have a positive ROI in terms of revenue created from the paid traffic that I sent to my site during March. But I DID validate the niche and the conversion rates for the site the way I have it set up right now. The click-through rates and conversion rates are right on target and seem to line up perfectly compared to stats I’ve seen for typical Amazon affiliate sites. This paid traffic test confirmed these rates for me – even thought I didn’t exactly sell as much product as I’d hoped during the short 2 weeks that the ads were running in full effect. Playing with numbers a little bit – using my early $65.75 RPM… say I get the site to 300 visitors per day. That would be 9,000 monthly visitors which would equate approximately $591.75 in revenue. My ambitions are much higher than that though – and I honestly think that my RPM will increase by quite a bit once I start ranking naturally on the first page of Google for my keywords and I start selling more of the expensive products that I promote on the site. In my case – this is a monthly goal ($2,100) and an estimated RPM ($130) which means the calculation results in the number of monthly visitors I need on my website. $2,100/$130 x 1,000 = 16,154. If I divide that number by 30, that means I need to average about 538 daily visitors to my site in order to hit my goal (using that estimated RPM). If my RPM doesn’t double and remains around $65 – then I need to double that traffic figure to over 1,000 daily visits. Using these numbers and calculations – I can clearly see that I need to generate traffic to my website in the 500 to 1000 daily visitors range if I want to hit my goal of $2,100 per month with this site. Building links manually is tedious and hard. Buying links from reputable services is insanely expensive. Figuring out where and how to build links can be quite tricky. I don’t enjoy any part of this process at all. But I know it’s going to be necessary – especially since my paid traffic experiment did not provide a positive monetary ROI. As part of this project – I’m using tools I haven’t used before to uncover back linking opportunities. I’m going back to some gray hat strategies/services that I’ve used in the past (while being careful to not do anything that will trigger a Google penalty). And I’m planning on using some white hat tactics – both manually and with paid services.